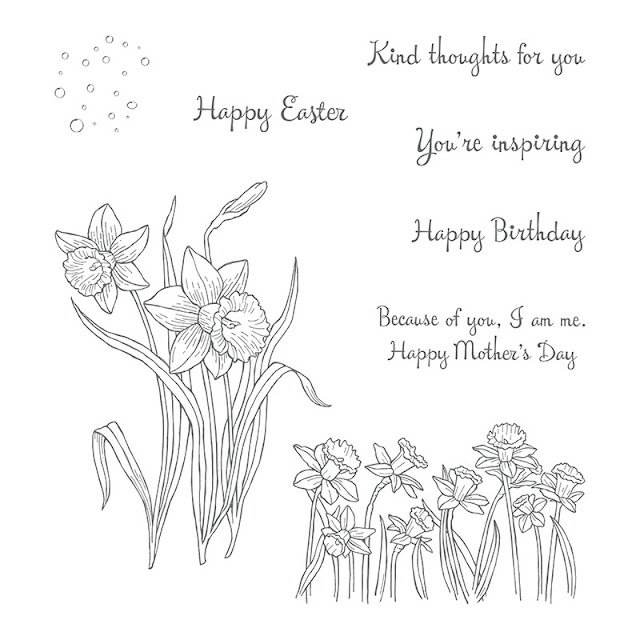 When making Easter cards featuring daffodils, there is little choice but to take my title from William Wordsworth's poem "I Wandered Lonely as a Cloud". 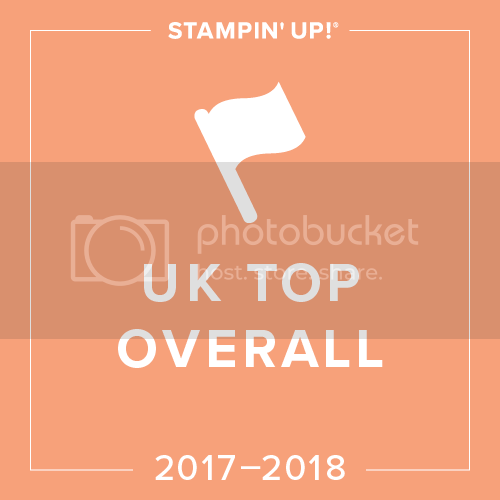 When I first saw this stamp set in our Spring/Summer Stampin' up! catalogue called "You're Inspiring" I knew I had to buy it. 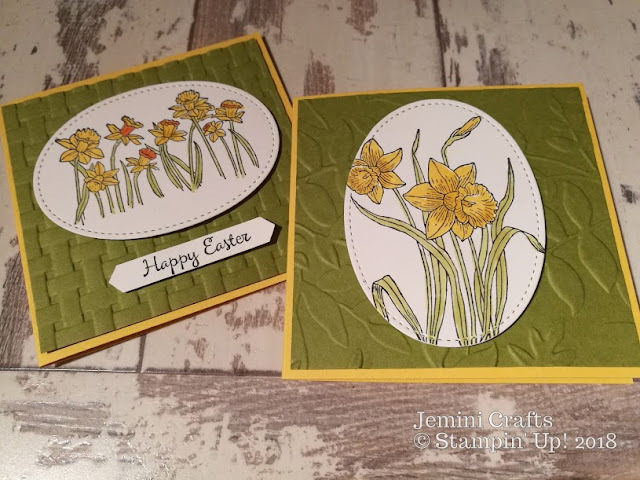 Not so much for Easter cards, as I don't usually send them, but for the 2 lovely daffodil images. It was an obvious choice for coffee and card, as it is perfect for stamping and colouring in. I decided to layer it onto some Old Olive cardstock, which I had embossed using some of our embossing folders which fit in the Big Shot die cutting machine. Here are the results, details of how the cards were made are underneath. If you wish to order this stamp set and any folders, you can order here. Basket Weave embossing folder on the left, and Layered Leaves on the right. 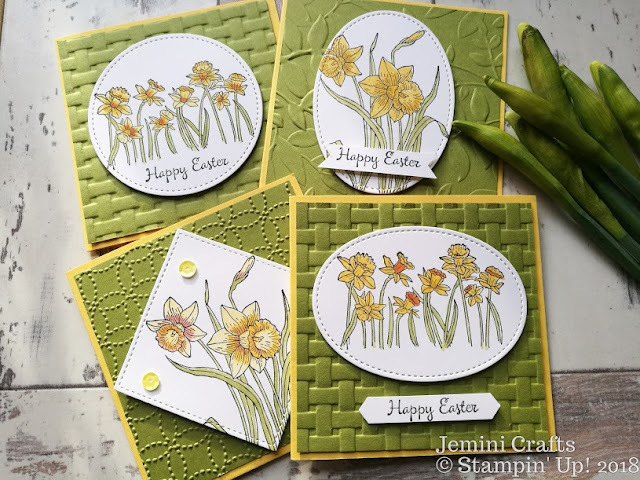 Daffodil cards can be used for many occasions, not just Easter. Cut an oval,circle or square die cut from Whisper White cardstock. I used the stitched shapes framelits. 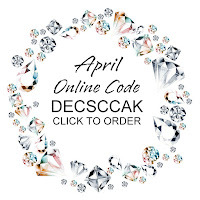 You get 12 dies for just £27, 4 each of circles, ovals and squares. Add the image and the sentiment using dimensionals. I hope you like these cards we made. 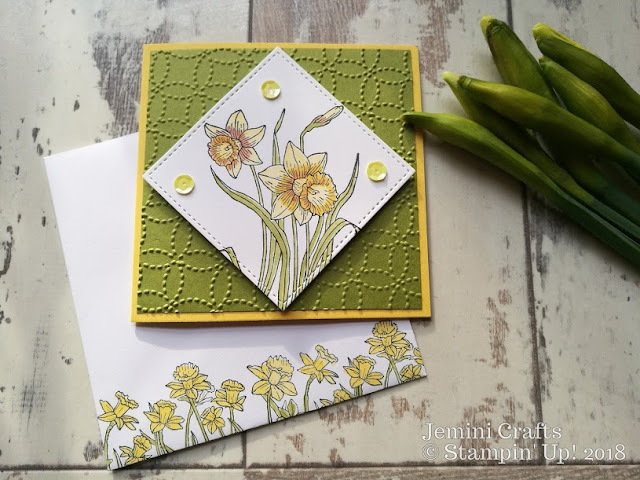 My lovely friend Lynda popped me some daffodils during the coffee and card morning - and these are the ones you can see in the photos above - Thanks Lynda.